I’ve been trying my best here in Namibia to get a little bit caught up on things like my video project It’s my Life 365. However, despite having the best infrastructure in all all of Africa thus far, I didn’t actually manage to buy a Southern African adapter for my electronics until now. Fail! Who knew that you needed a different type of plug for Southern Africa. And also, why is it that we need 40 different types of plugs around the world? Can we all just sit down and agree on one plug? Isn’t that what the United Nations is for? Anyways, I did manage to start getting caught up on something the other day and one of those things was a new video to my youtube travel channel. This is a video from way back in Ghana, which now feels like ages ago. Elmina Castle is one of the oldest settlements in all of Africa, and is one of the most infamous slave trading castles in the world. The castle was first established by the Portuguese but then also later used by the Dutch and the English; although the Brits never used Elmina Castle for slavery but rather as an administration building and to lock up the Ashanti king at one point as well. 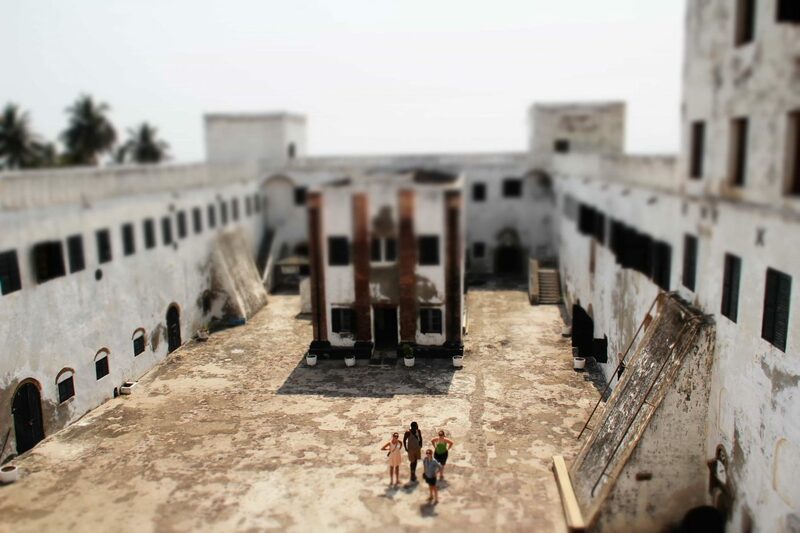 Today, Elmina Castle is a stop on the tourist trail of Ghana, and is likely the best of the dozens of castles along the coast of the country to visit. The castle is open daily and welcomes numerous visitors each and every day. If you visit the castle, I recommend getting there early or you might get yourself stuck in a fairly large group. Elmina Castle opens daily at 8am. In this episode, after visiting the castle, I head back to my campsite which is at the perfectly situated Stumble Inn along the beautiful Ghanaian coastline. I went there a few years back. It is such an incredible place with a haunting history. It is a really thought provoking place.